Google Nexus Two to be Manufactured by Motorola? Talks about the next version of the Google phone are already underway. Folks over at Mobile01 have managed to grab photos of Motorola Shadow, which they think might be the next flagship Android phone from Google. 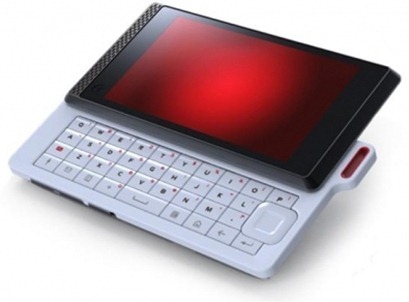 Nexus Two, as they are calling it will feature a sliding QWERTY keyboard, compared to the virtual onscreen one on the Nexus One, and will be targeted more towards the Enterprise users. Wouldn't be surprised, there was someone from Motorola at the Nexus One launch event, chances are Google must've struck a deal. I don't think it's a matter of Google dumping HTC but rather HTC dumping Google because of dismal sales due to Google's refusal to allow carriers to market and sell the Nexus One on their behalf. Google instead opted to only allow a subsidised phone with T-Mobile on a horrible phone plan and penalising loyal T-Mobile customers with lousy upgrade option. Again with horrible phone plan rather than allowing T-Mobiles excellent unlimited everything plan.